On this day, 19 years ago, Olusegun Obasanjo was elected Nigeria’s civilian President, putting a permanent end to military rule in the country. Every year, Nigerians celebrate May 29 as it marks the start of our Fourth Republic. As is the custom, President Muhammadu Buhari made a public address to the Nation. In his speech, he recounted a laundry list of the programmes, schemes and achievements of the administration covering areas such as social investment programmes (N-Power), power generation (up to 5,222.3 in December 2017), empowerment programmes (GEEP) and increased foreign reserves (up to ₦47.5bn from ₦30bn in 2015). However, what the President did not do was set out a vision for the fourth year of his administration and the longer term goals for the country. In doing so, he took a retroactive look at the administration, focusing on the past, rather than the future. What were the highlights of his address? In December 2015, President Muhammadu Buhari, 6 months after winning the Presidential elections, was quick to announce that Boko Haram had been ‘technically defeated’. However, his address earlier today seemed to make a clarification that Boko Haram insurgents have not been defeated but ‘degraded’. What do we think on security? Since assuming office in 2015, the fight against Boko Haram has allegedly led to the release of over 16,000 people. The President was quick to point this out alongside other positives recorded by his administration in the fight against Insurgency. It appears security, as opposed to the economy, is the primary focus of his administration. If Nigerians are to learn anything from the speech, it is that attention will be focused on President Buhari's area of expertise. However, the spate of killings in the country over the last few months, the nonchalant attitude towards the deaths of many civilians in the middle belt and the government's refusal to acknowledge the validity of the recent Amnesty International Report show that the approach to security is not holistic. While the President has attempted to convince Nigerians that he is ready to defend this nation, it is not clear that the administration views the lives of Nigerians as sacrosanct. In addition, considering the rhetoric of this government towards security before inauguration 3 years ago, as well as repeated claims that Boko Haram has been defeated, it is saddening to see Boko Haram still taking up space in the President's speech. Aside from this, that the administration has watched over the rise of the Fulani Herdsmen crisis in spite of its apparent security expertise leaves room for question on the government's military expertise. The campaign to create a level playing field for candidates contesting elections started in 2016. 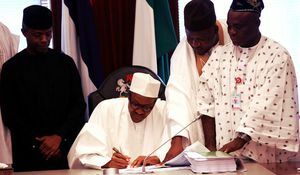 The Age Reduction Bill, popularly known as Not Too Young To Run bill was passed by the National Assembly last year to amend certain sections of the constitution. The alterations are expected to include reduction of the age qualification for President, Governor, Senator, House of Reps membership and State house of assembly membership. What do we think of the Age Reduction Bill? President Muhammadu Buhari in his democracy day address assured Nigerians that the Not too young to run bill will be signed into law in a few days time. The aim of the Bill is to eventually allow more young people participate in politics. However, there are other challenges that make the Bill difficult in practice. Two other serious areas of concern in Nigerian elections are funding and patronage networks. 'Money wins elections' is more than a cliche, but rather a significant feature of Nigerian elections. The two principal political parties are estimated to have spent ₦8.7 billion (PDP) and ₦2.9 billion (APC) in their respective presidential campaigns in 2015, giving them far more leverage than any third party candidates. In addition, political party patronage networks mean that in practice, young candidates are unlikely to be able to run on existing political machines like the APC and PDP. This is coupled by the fact that parties have a habit of declaring a 'return of incumbents', and many influential positions, particularly the National Assembly seats, do not have term limits and so do not easily give way for new candidates. All in all, the Bill, while significant, is only the first step to bringing younger candidates into governance. One of the things that President Muhammadu is well known for even outside the country is his anti-corruption stance. He echoed this stance once again in his Democracy Day speech, stating that there is no hiding place for looters in his administration. 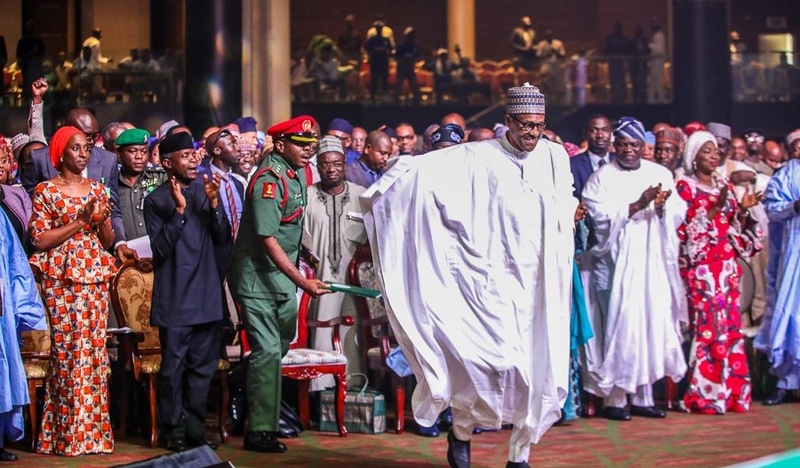 The President mentioned that the Economic and Financial Crimes Commission (EFCC), in collaboration with the Independent Corrupt Practices and Other Related Offences Commission (ICPC) has resulted in recovering billions of Naira. “We have retained the services of one of the world’s leading assets tracing firms to investigate and trace assets globally. This is in addition to the exploitation of provisions of existing Treaties, Conventions as well as Bilateral Agreements with Multilateral bodies and Nations,” – Muhammadu Buhari, on efforts made to recover assets. What do we think about Anti-Corruption? Depending on who you ask, Buhari’s anti-corruption fight has not been encompassing. One clear shortcoming has been that of Babachir Lawal, who was implicated in findings of an $8 million fraud scandal without follow up by the Buhari led administration. The administration is yet to also record a major prosecution, with the cases of Olisa Metuh and Dasuki still languishing in the courts. The President's anti-corruption Czar, Ibrahim Magu has twice been rejected by the Senate for an appointment and was recently found openly declaring partisan allegiance to the APC. Measuring by results, the administration's efforts have not yet been groundbreaking, and with one year left to the end of this term, there is little expectation that change will occur. Many will also argue that the focus on Anti-corruption has also been blindsided by a weak handling of the economy. 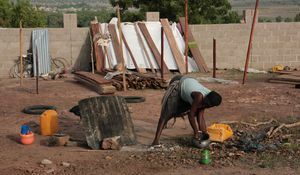 While attention has been paid to rhetoric on fighting corruption, many Nigerians were hit hard by the recession under this administration and are yet to fully recover to previous standards of living. In all, the President assured Nigerians that he was working hard to rid the administration of corrupt practices, stating key reforms like the whistleblowing policy and Presidential Initiative on Continuous Auditing as examples of progress made. But, it is not clear that these are close to enough. President Muhammadu Buhari’s address was laced with a lot of optimism and examples of how much work his administration seems to be putting into addressing key national issues. But it is nothing Nigerians have not heard before. While all of it seems promising, fingers crossed on how much progress the President and stakeholders can make before he is up for re-election next year.